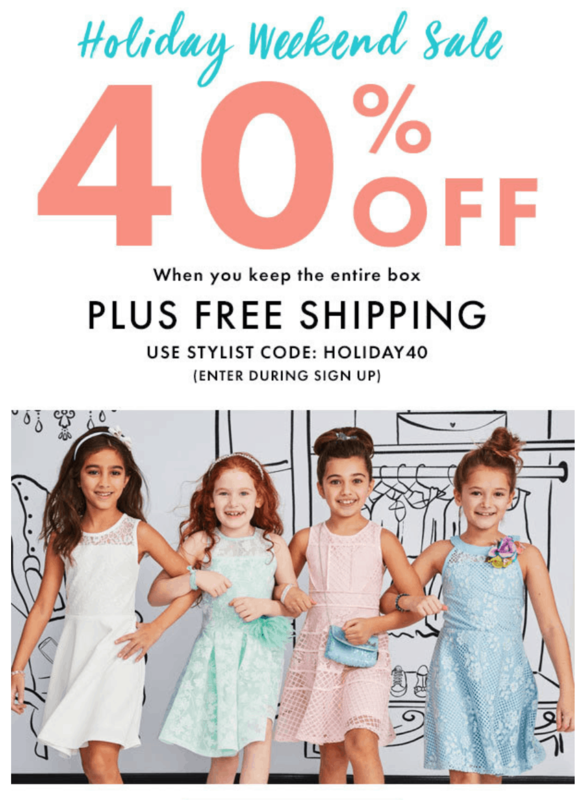 Kidpik Sale: Save 40% off your first box + free shipping from this girls’ clothing subscription! Kidpik Birthday Sale: Save $25 off $50+ orders + 30% off when you keep the entire box + free shipping from this girls’ clothing subscription! Kidpik Birthday Month Sale: Save $30 off $60+ orders + 30% off when you keep the entire box + free shipping from this girls’ clothing subscription! Kidpik girls clothing subscription has launched its Spring Break box + $20 off coupon! Kidpik President’s Day Sale: Save 40% off + free shipping on your first box from this girls’ clothing subscription! 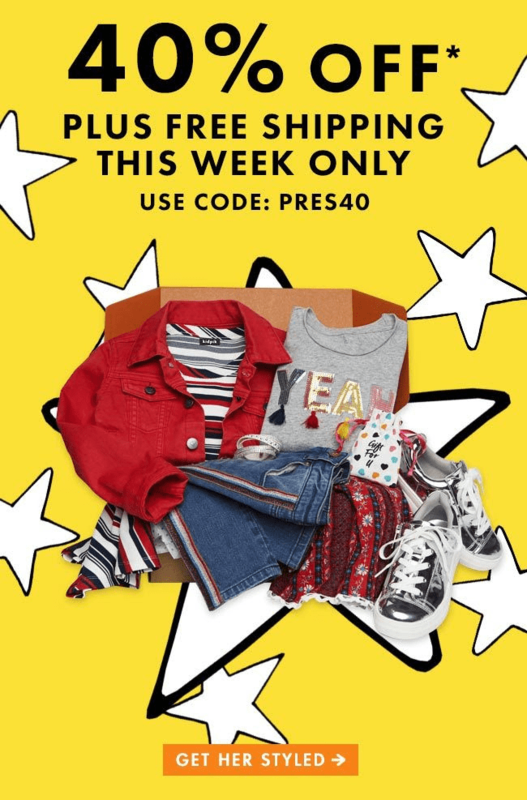 Kidpik Super Box Sunday Sale: Save 53% off on your first box from this girls’ clothing subscription! 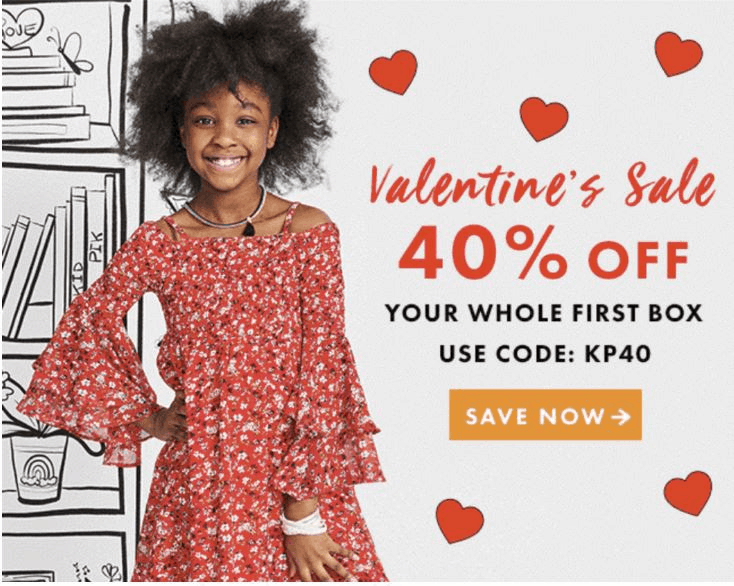 Kidpik Valentine’s Sale: Save 40% off on your first box from this girls’ clothing subscription! Last Call! Kidpik New Year Deal: Get free shipping, and additional 30% if you keep the whole box! Kidpik Holiday Deal: Save $25 off + free shipping on $50+ order, and additional 30% if you keep the whole box! Kidpik Holiday Deal: Save HALF off first box from this girls’ clothing subscription! Kidpik Cyber Monday Deal: Save HALF off first box from this girls’ clothing subscription! Ending tonight! Kidpik Cyber Monday Deal: Save HALF off first box from this girls’ clothing subscription! 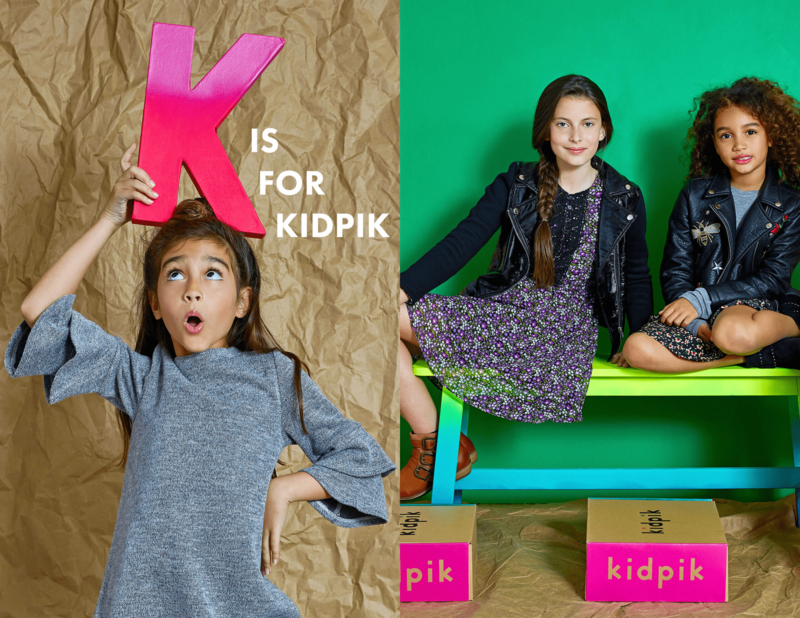 Kidpik Black Friday Deal: Take 50% Off First Box from this girls’ clothing subscription! Kidpik Coupon Code: Save $25 on your first box when you spend $50 + Extra 30% off when you keep it all! Kidpik Coupon Code: Save $20 on your first box when you spend $40 + Extra 30% off when you keep it all! Kidpik Coupon Code: Save $25 on your first box when you spend $50 + Extra 30% off when you keep it all! ENDS TONIGHT! 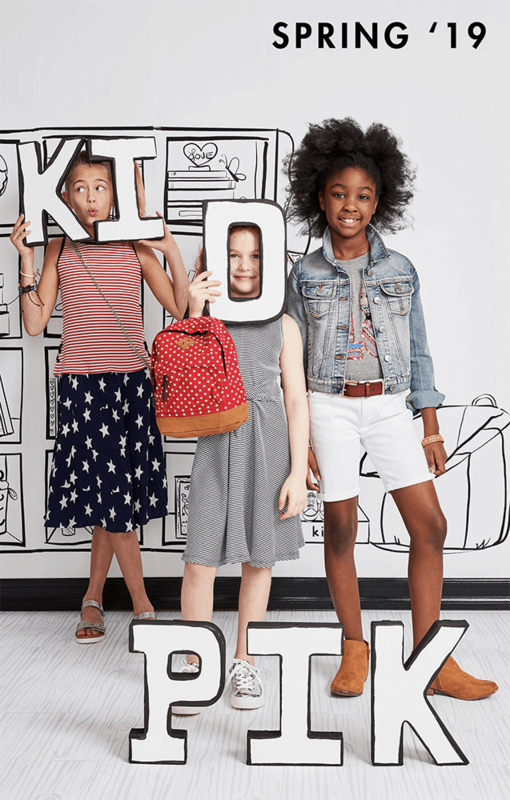 Kidpik Coupon Code: Save $25 on your first Kidpik Girl’s Fashion Box when you spend $50 + Extra 30% off when you keep it all! Kidpik July 4th Coupon Code: Save $25 when you spend $50 + Extra 30% off when you keep it all! Kidpik Coupon Code: Save $20 When You Keep $40 + Extra 30% off when you keep it all! Kidpik Coupon Code: Save $15 When You Keep $40 + Extra 30% off when you keep it all! Kidpik Cyber Monday Sale: Save $20 When You Keep $40 + 30% off Extra When You Keep It All! Kidpik Coupon Code: Save $20 When You Keep $40 + 30% off Extra When You Keep It All! Free top with first Kidpik box – a styling subscription for girls that’s crazy affordable *and* crazy cute! Holiday Delivery Deadline extended! Order now for under the tree! Free top with first Kidpik box – a styling subscription for girls that’s crazy affordable *and* crazy cute!